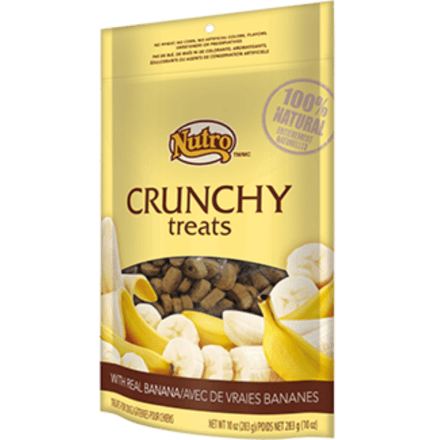 Reward your dog with NUTROTM Crunchy Treats With Real Banana. 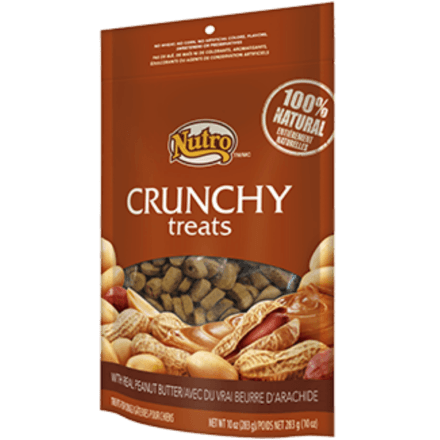 Our healthy dog snacks contain natural ingredients, such as whole grains and real bananas. 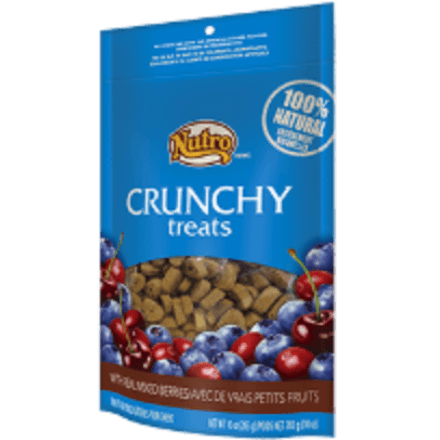 These premium dog treats also include no wheat or corn, and they contain no artificial colours, flavours or preservatives. 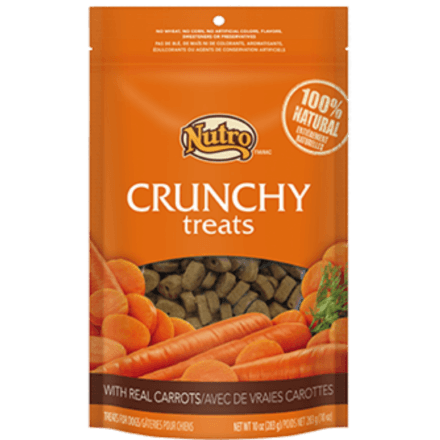 They’re simply a healthy treat for dog training or a special snack.